1.Dry roast each ingredient separately till golden. 2.While roasting chillies can add salt with it and lastly add turmeric,hing and garlic powder to hot kadai and take off. 3.Grind it into fine powder and store it in airtight container. Dry each ingredient separately till golden. While roasting chillies can add salt with it and lastly add turmeric,hing and garlic powder to hot kadai and take off. Grind it into fine powder and store it in airtight container. Keep the rasam powder container closed nicely so that the flavors are intact and transfer a little from it to a small airtight container and use from it!fill it up then and there. Can change the amount of chillies added according to your taste. As we add kollu to it the taste is so nice and aromatic. I have used garlic powder you can add garlic cloves instead after roasting it. 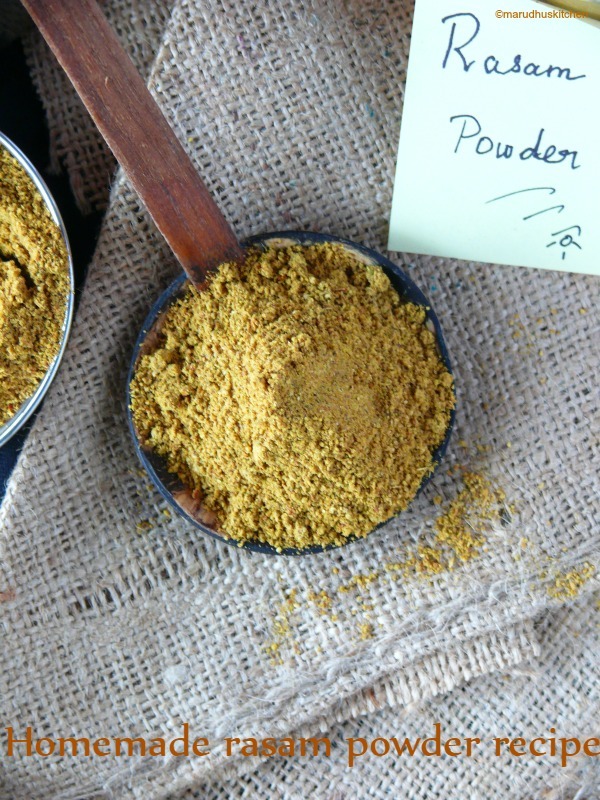 Home made spice powders are the best to make the dishes flavourful.. 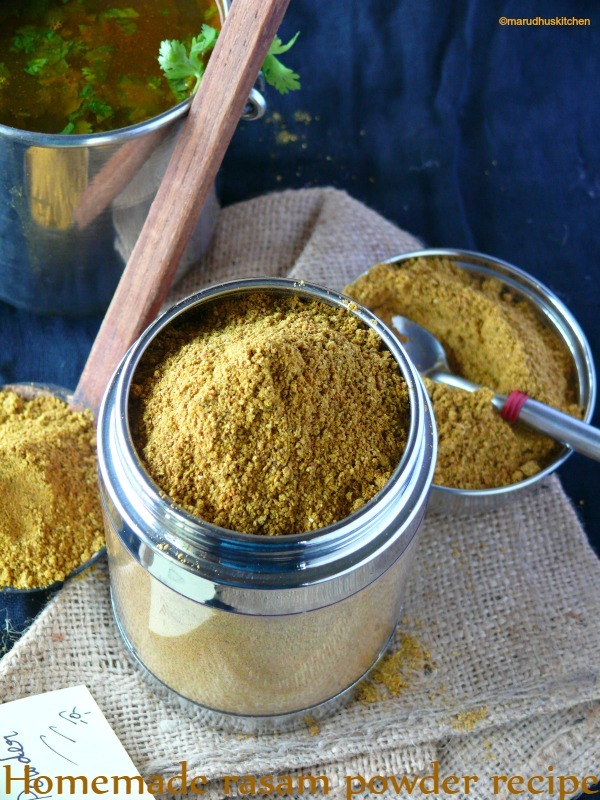 I love homemade stuff…next time my rasam is definitely going to be with this powder:)Yummy…. I never add kollu to rasam powder may be next time I will try, looks perfect. again crystal-clear pictures! I have never used horse gram in the podi either. should try..
very flavourful. homemade is the best! Lovely clicks!! Aromatic and healthy Rasam Powder…Adding horse gram makes the rasam powder…is new to me..classic recipe..
Was the kollu pre-soaked or washed and raw. Toor dal and methi washed or not? we needn’t wash or soak dals before making any podi’s…its not necessary..